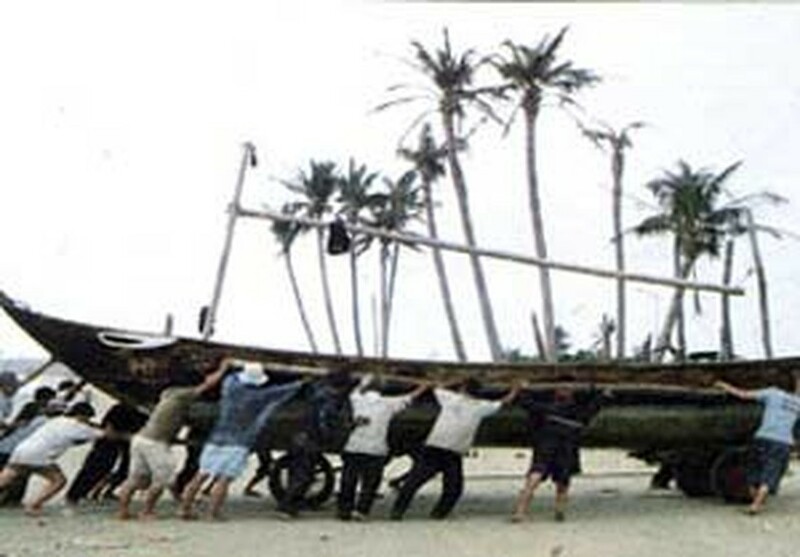 Fishermen in Da Nang city move their ship ashore in preparation for coming Typhoon Utor. Deputy Prime Minister Nguyen Sinh Hung arrived in the coastal central province of Phu Yen yesterday to coordinate activities to fight Typhoon Utor, which has moved into the Easten Sea and is likely to make landfall soon. Mr. Hung stressed that local people in the possibly affected areas should not be headless to the unpredictable movement and the devastation of intensifying typhoon Utor and relevant authorities must evacuate people to safe places, protect people’s lives and ensure social order and security in these areas. According to a report by vice chairman of the provincial People’s Committee Nguyen Ba Loc, the province is ready to evacuate up to 1,430 families if the province faces the full fury of the storm. Meanwhile, Lieutenant General Nguyen Duc Soat said Da Nang city’s Military Zones 5 and 4 have been given 400,000 sandbags to reinforce the citizens’ house roofs, in addition to trucks and about 30 boats and canoes for evacuation and relief if the typhoon, the 10th this year, hits this part of the country. Helicopters will also be on duty in other provinces and cities. So far, 26 helicopters have been put on alert in the central cities of Da Nang and Nha Trang in preparation for Typhoon Utor. Neighboring Thua Thien Hue province said yesterday 35 fishing vessels with 215 fishermen had disobeyed safety calls to put out to sea on Tuesday but all of them had been forced to come ashore. By yesterday noon, the province was ready to evacuate around 19.636 families in at-risk areas to safer places. Deputy Minister of Fisheries Nguyen Viet Thang also arrived in the central province of Quang Tri to instruct prevention activities against the typhoon. It is forecasted that if the typhoon Utor hits the areas, 950 families with 4,000 people will be affected and about 1,800 households with 7,500 people will be at high risk of living in flood. According to the US Joint Typhoon Warning Center (JTWC), the typhoon Utor was moving northeast and would lay centered at the latitude of 17.4 degrees North and the longitude of 111 degrees east, bringing winds of 102-129 km per hour. Then, the typhoon would change its direction to west-southwest, returning to Viet Nam’s central coast area and possibly hit the coast between Thua Thien Hue and Quang Ngai provinces. The forecasted movement of typhoon Utor from 4PM today. 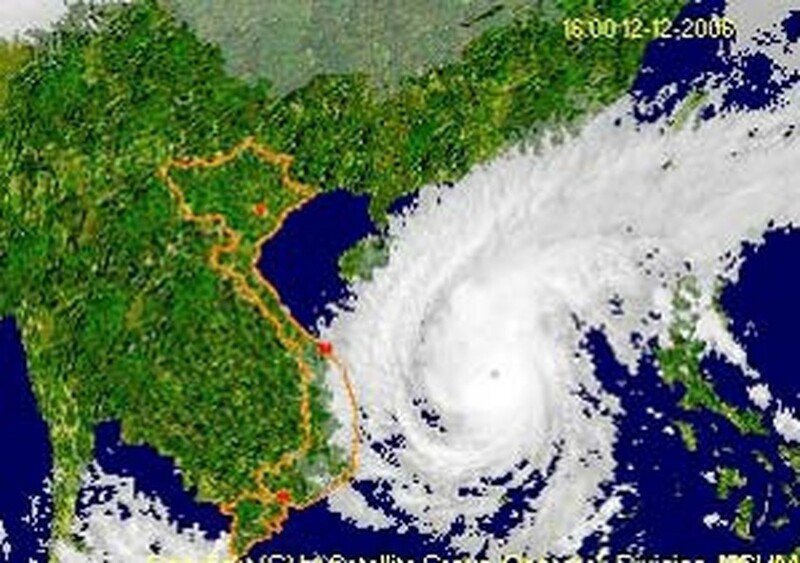 Whether the typhoon would make landfall in central Viet Nam or not, both local and international experts believed that it would cause big rain and strong winds. Dr. Tran Tien Khanh, who runs the storm and flood forecasting website www.vnbaolut.com, said part of the typhoon Utor would change its direction due to wind shear, a difference in wind speed and direction between two points in the atmosphere. 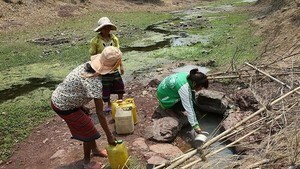 Specifically, it would turn into central Viet Nam, causing heavy rains from Tam Ky town to Quy Nhon province, he added. According to the Vietnamese American expert, the global climate change appearing as El Nino and La Nina has caused severe effects, often bringing heavy rains, severe flooding and potential tornadoes, especially in recent years. 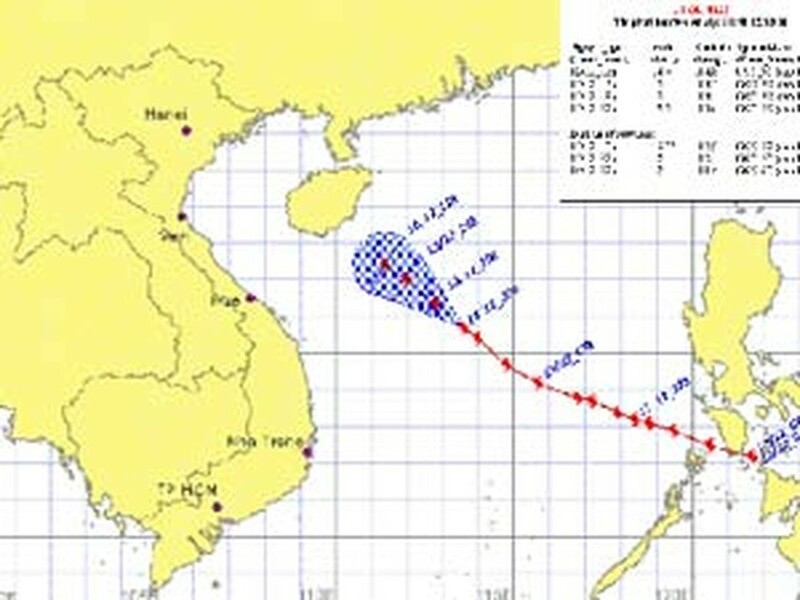 Therefore, people in central Viet Nam would be likely to face flooding caused by strong typhoons this year.